The Angels are flying to a new release date. 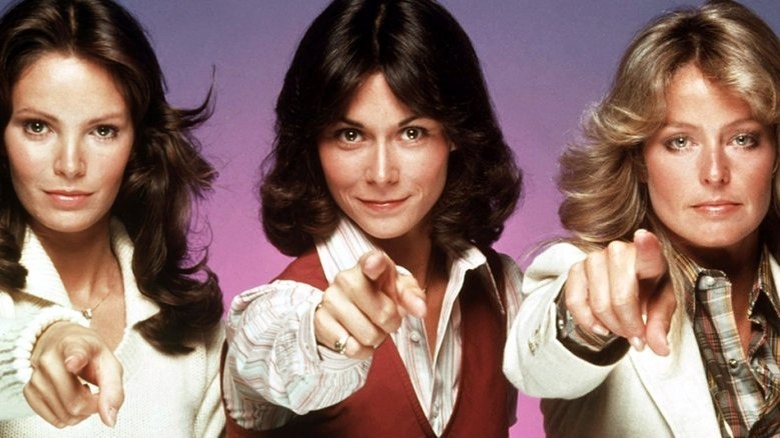 Sony has pushed back its upcoming Charlie's Angels reboot by five weeks, moving the film from its original September 27, 2019 release window into the November 1, 2019 slot previously occupied by Wonder Woman 1984, Deadline has confirmed. The studio announced the debut date change shortly after Warner Bros. delayed the Wonder Woman sequel from its planned November 2019 debut window to June 5, 2020, which sees the Gal Gadot-starring superhero pic score nearly the same summer launch as its 2017 predecessor. Directed by Elizabeth Banks, the new Charlie's Angels stars Ella Balinska, Naomi Scott, and Kristen Stewart as the trio of Angels who work for a detective agency and answer to the mysterious man known as — of course — Charlie. The three actresses grab the Charlie's Angels torch from Drew Barrymore, Cameron Diaz, and Lucy Liu, who top-lined the 2000 film Charlie's Angels and its 2003 sequel Charlie's Angels: Full Throttle, which revived the media franchise that began with the 1976 television series starring Kate Jackson, Farrah Fawcett, and Jaclyn Smith and later Cheryl Ladd, Shelley Hack, and Tanya Roberts. Also featured in the forthcoming film are Star Trek legend Patrick Stewart, Shazam! actor Djimon Hounsou, and Banks herself as three Bosleys; Gerardo Méndez as The Saint; and Jonathan Tucker, Sam Claflin and Noah Centineo in undisclosed roles. With its new November 1, 2019 release date, the Charlie's Angels reboot is now the only feature film set for a North American debut on that day, according to Variety. But that doesn't mean the movie will go without box office competition, though. Just one week after the Banks-directed Charlie's opens in theaters, Paramount will roll out its Sonic the Hedgehog movie, 20th Century Fox will release its third Kingsman movie (which is currently untitled), and Lionsgate will debut the Mandy Moore and Woody Harrelson-led historical action drama Midway. The Charlie's Angels refresh should wind up doing well when it opens wide next fall, considering it touts a stellar cast with two Stewarts, a Power Rangers star in Scott, and a 20-something who captured everyone's hearts in a double feature of Netflix rom-coms in Centineo, as well as a talented director in Banks. It's difficult to make a reboot dazzle — just as it's hard for a sequel to be as good or better than the original — but we have a feeling that the new Charlie's Angels movie could actually work in a really big way. Catch Charlie's Angels in theaters on November 1, 2019.